Since its formation in 1960, the Organization of the Petroleum Exporting Countries (OPEC) has attracted international interest. Its classification, influence and outlook have divided analysts. The last few years have been particularly interesting. Following the oil price collapse in 2014, some commentators wrote OPEC’s obituary. They announced that time was up for the group, which had “practically stopped existing as a united organization,” to use the words of Igor Sechin, CEO of Russian state-owned oil giant Rosneft. When OPEC managed to reach a deal in December 2016 with non-OPEC producers led by Russia to form the so-called OPEC+, it regained much of its political and economic clout. 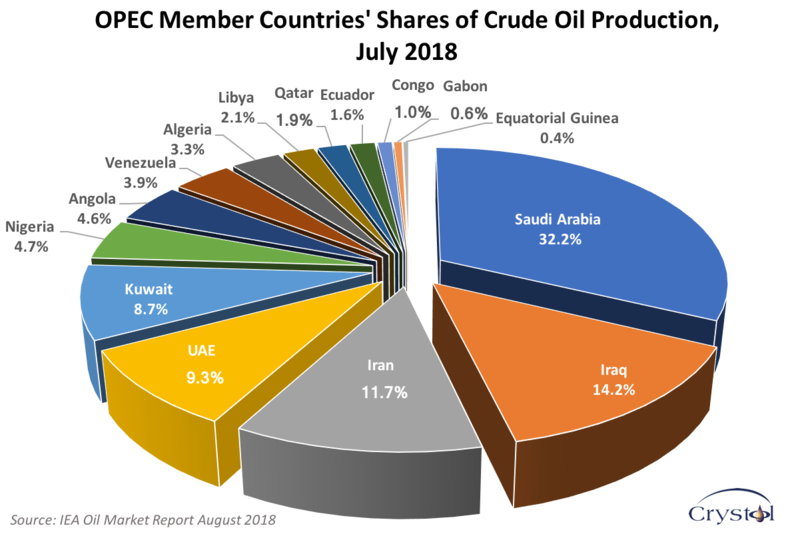 After the organization’s June 2018 meeting, some analysts even predicted the birth of a new OPEC – a “Super OPEC.” Meanwhile, in the United States, Senator Chuck Grassley introduced a bill dubbed “No Oil Producing and Exporting Cartels,” or NOPEC, which, if passed, would allow the U.S. attorney general to sue OPEC for price manipulation under the Sherman Antitrust Act. In response, some commentators warned that oil market volatility would increase without OPEC. They may be right, but only in the short term. This contrast in perspectives has accompanied OPEC throughout its history and it is unlikely to be resolved any time soon. The outlook for the organization largely depends on the future of oil markets, and especially on when oil falls out of fashion. But as gloomy as the latter scenario might appear for the organization, it could make OPEC very effective in defending oil prices.